“It was always a dearest wish of mine to be a mum. So the day I found out I was pregnant was one of the best days of my life. And for the next 32 weeks, everything seemed to be just perfect. We found out we were going to have a little girl and settled on a name quickly. She would be Ruby, our precious little bear. But then the doctors started to raise concerns. Ruby wasn’t able to swallow, so my amniotic fluid was building up dangerously. Then, one terrifying Sunday evening, I was rushed into an emergency room and given a caesarean section. But our ordeal was far from over. My little girl wasn’t breathing. Amid ringing alarm bells and speeding crash carts, a still, pale Ruby was rushed into the special care unit. Her long, hard fight for life had begun. The weeks that followed were brutal. There’s no other word for it. Ruby wasn’t moving and couldn’t even breathe without a ventilator. My prayers for Ruby’s recovery changed to from “Please be ok” to “Please let her live, give her time, give us time”. When we took Ruby home, things got even tougher. I felt so alone and vulnerable. Thankfully, that was when I found out about Children’s Hospices Across Scotland (or CHAS as my family and I have come to know and love them). Ruby still needed – and always will need – round the clock care. Ruby has an undiagnosed neuromuscular disorder which means she cannot walk or speak and relies on oxygen and feeding tubes. I have all the love in the world for my little girl. But there was just no way I – or any mother – could give her the intense, specialist care she needs and deserves all on my own. Thank goodness I didn’t have to. I was lucky enough to be offered support by CHAS and it’s quite simply been our lifeline. From the moment I met the CHAS at Home team, I knew they really understood how incredibly special my Ruby was, and that they would care for her as much as we did. I felt safe and supported. 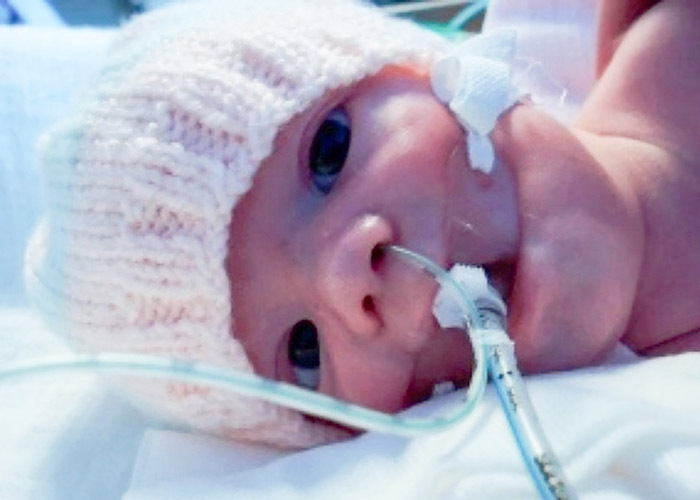 10 days ago, Ruby was rushed into surgery at the Royal Hospital for Sick Children in Edinburgh. The doctors weren’t optimistic about her surviving the surgery and as I sat in a waiting room like so many others I have sat in before, I felt sick each time the doors opened in case someone was coming to tell me that she had died in theatre. Four and a half hours later, the doctor came to tell me she did really well. His joy at giving me this news was obvious, as was his relief. Now let me tell you about the role that CHAS played in the midst of all this chaos. Before her surgery, I should have been picking up Riley. Instead I called our lovely CHAS volunteer Susie and told her what was going on, and asked if she could take care of Riley and drop him off later at his friend’s house to stay the night. I then phoned the CHAS at Home team at Rachel House. Their response was “What can we do to help? How can we make this easier for you? What do you need?” The following morning, Ruby’s key nurse phoned me to check how I was and to tell me she was there, that I was not alone. That’s how the CHAS team works, they don’t just tell you they’re thinking of you, say, they swing into action, extending a hand to support you, lifting you back up when you are on your knees. 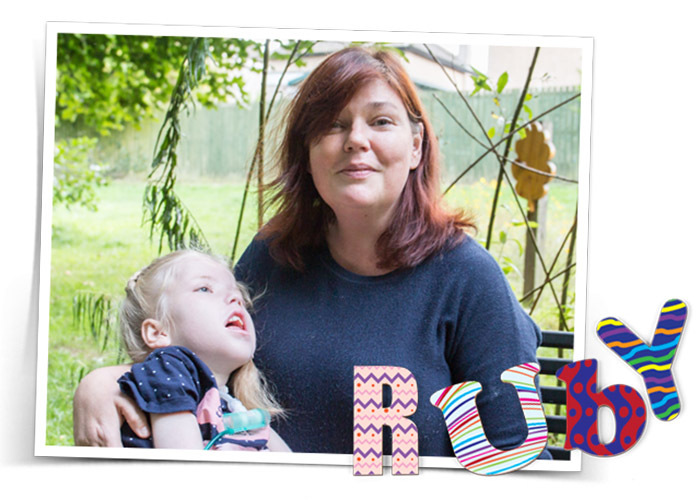 *If you have been touched by Pauline and Ruby’s story and wish to donate to CHAS’ Urgent Christmas Appeal 2018, give a family a Christmas they never thought they’d have. Donate to CHAS by clicking here or call 0141 779 6180.